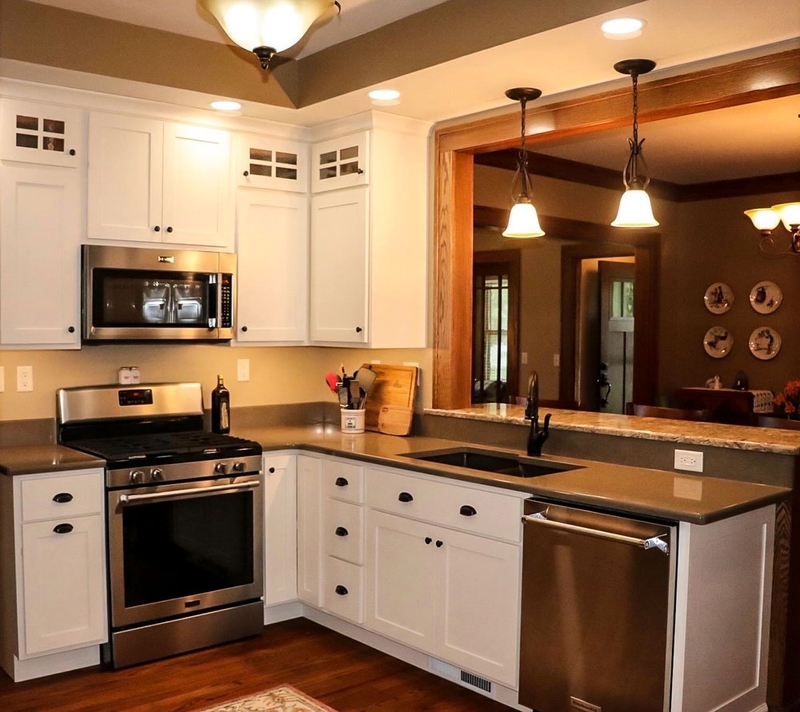 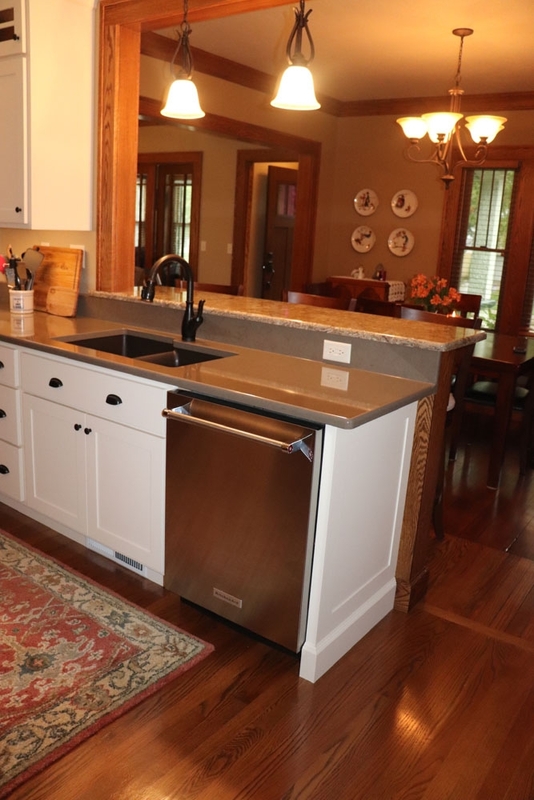 This 1930’s craftsman home was ready for a transformation mixing modern amenities with traditional elements. 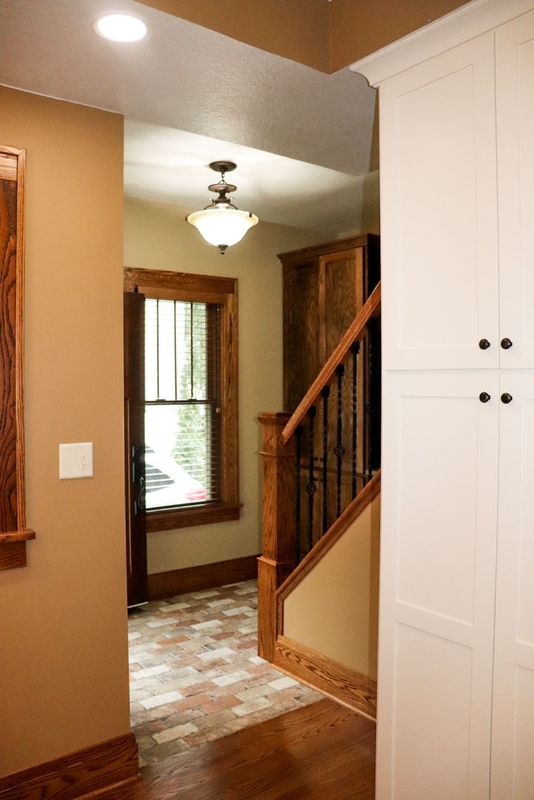 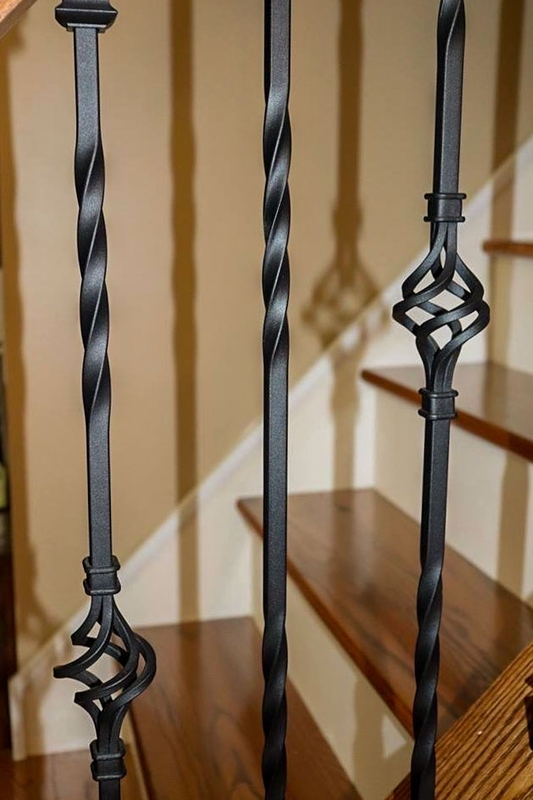 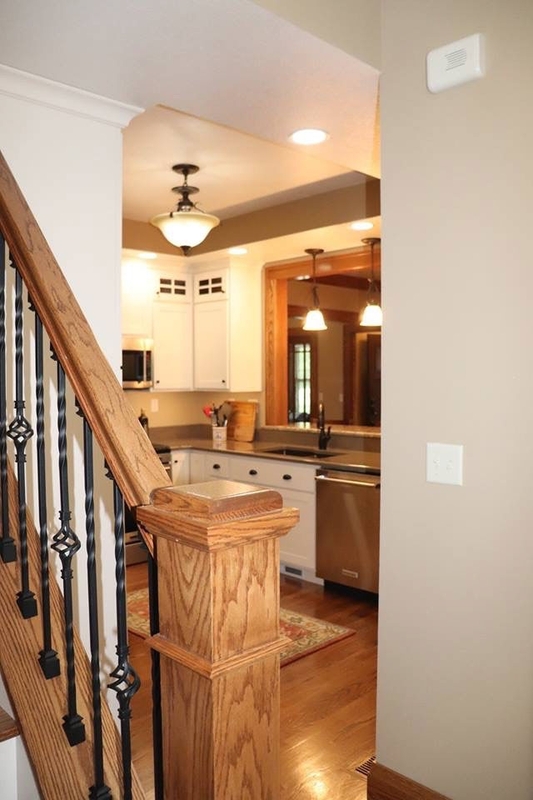 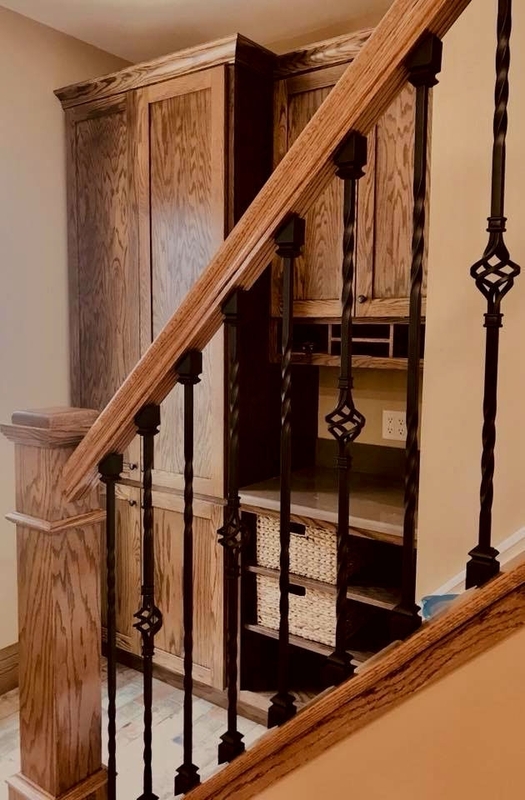 We opened up the space by removing the door between the entryway and kitchen, opening the staircase and adding beautiful railings and balusters, and removing the existing ceiling to make way for a tray vault. 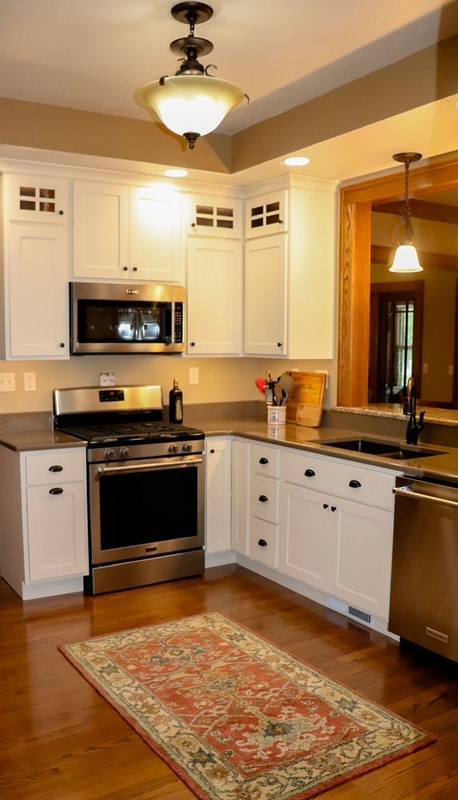 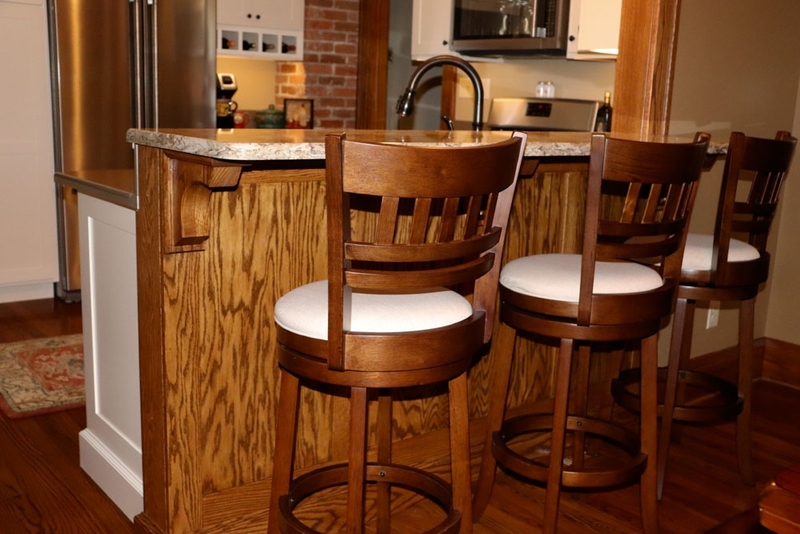 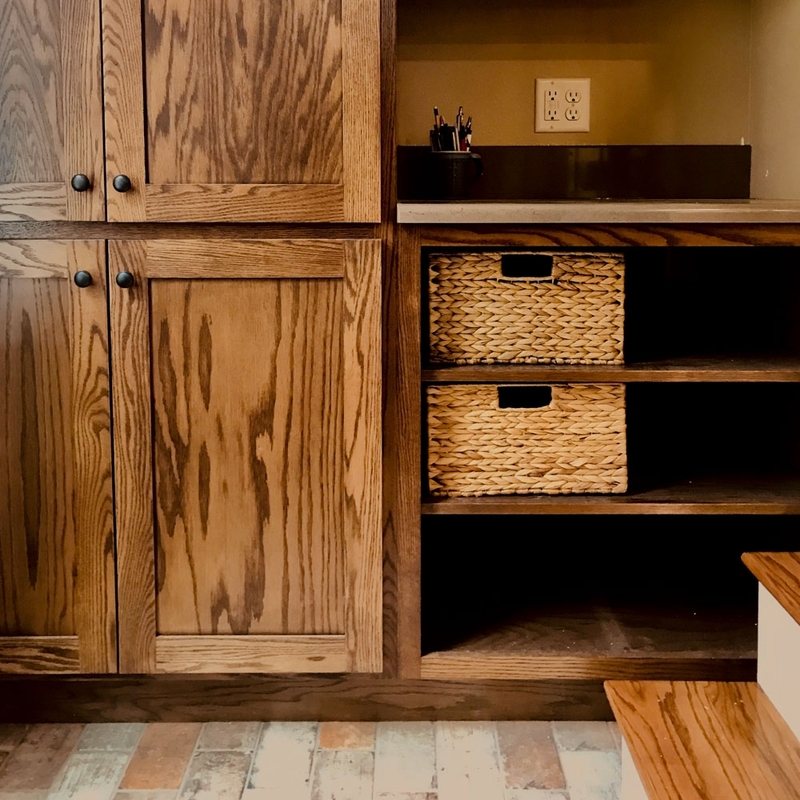 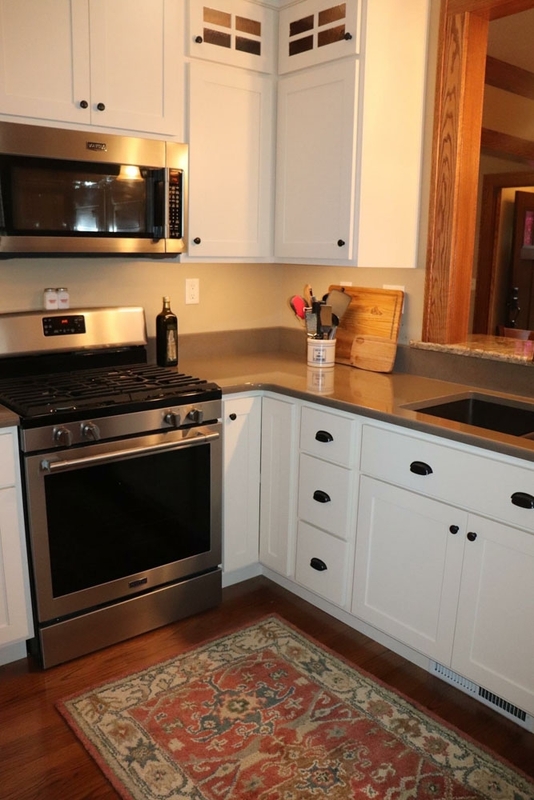 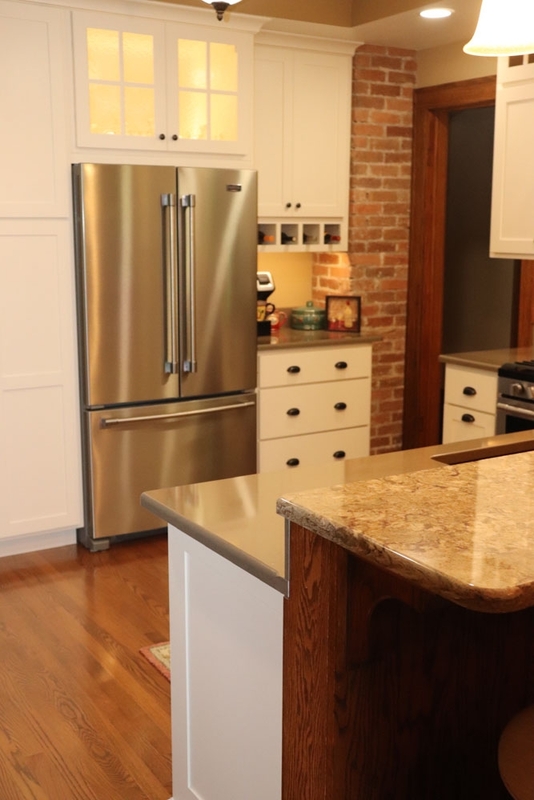 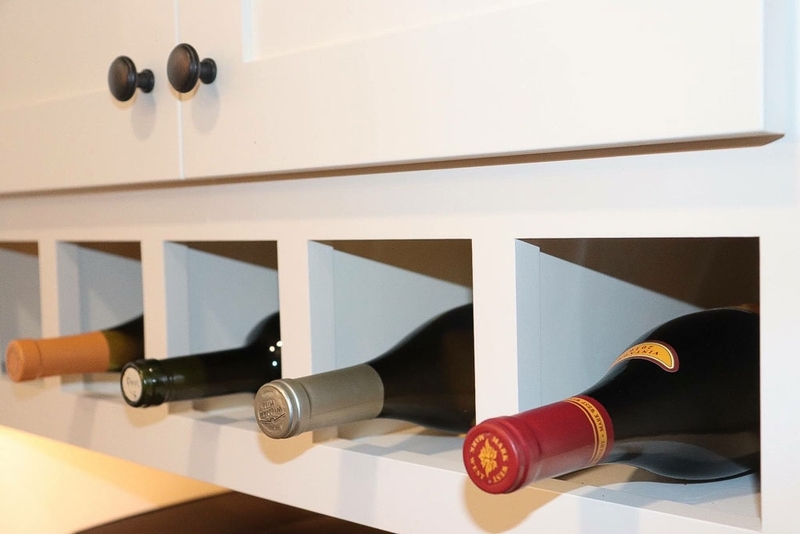 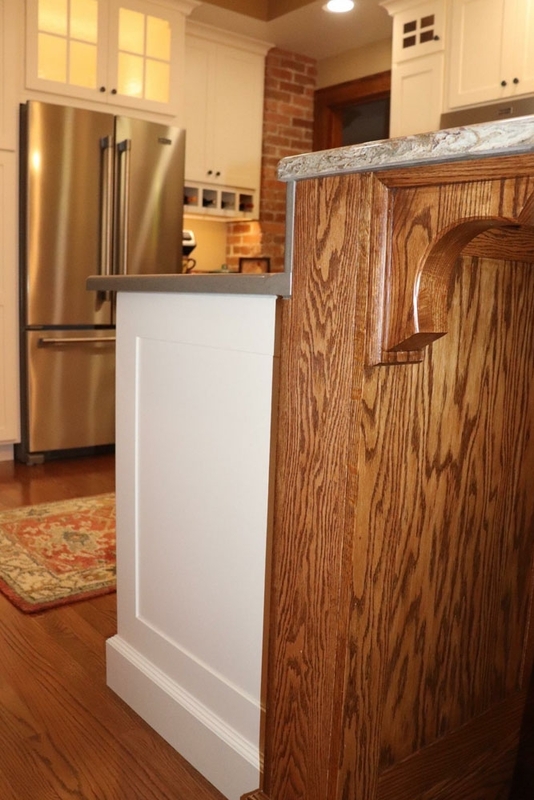 The character of this home was preserved by carefully removing, refinishing and reinstalling original woodwork and adding traditional style stained oak and painted maple cabinetry to the kitchen and entryway. 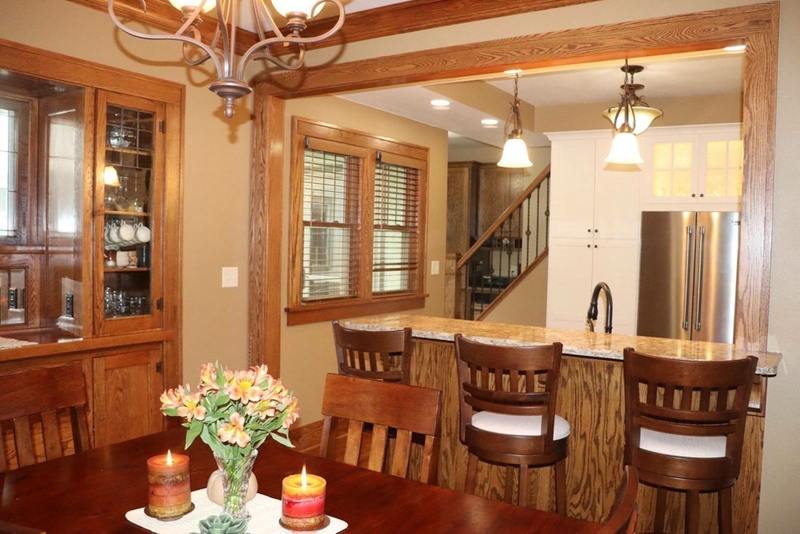 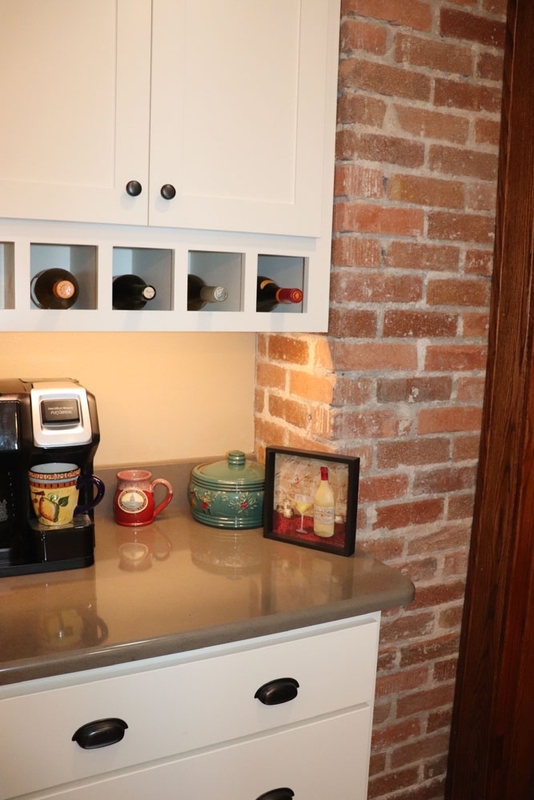 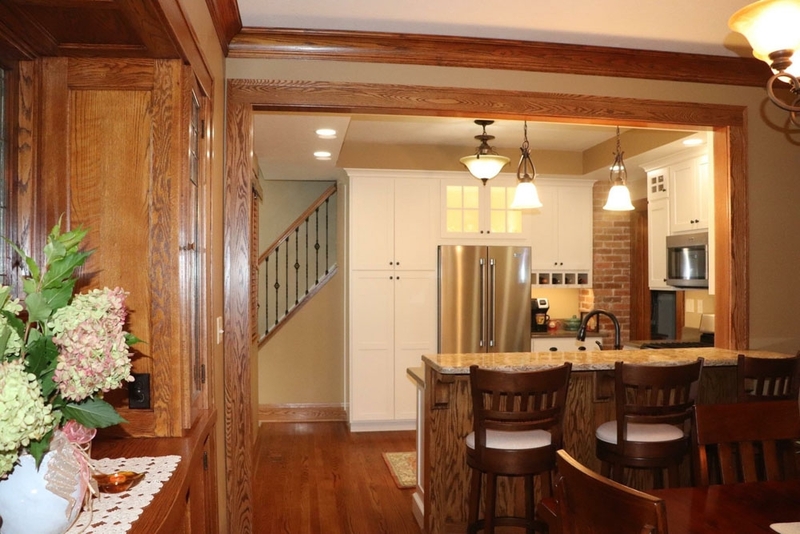 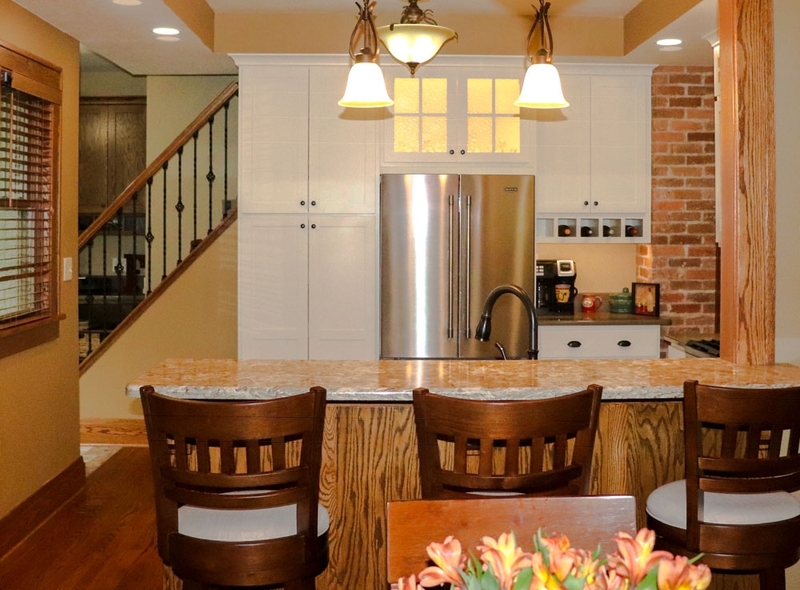 The wall between the kitchen and dining room was partially opened to add breakfast bar seating and make entertaining a breeze.